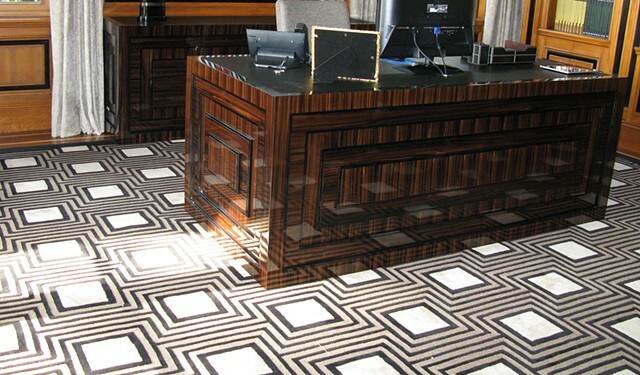 Desk and credenza made out of Macassar Ebony veneer in a tiered geometric pattern with recessed black lacquer fillet details. Tops have a leather inset. Finish is a full-fill, high gloss lacquer.